David Tracy serves as both the Chief Operations Officer and a Wealth Advisor at Legacy Wealth Partners. David been with the firm for over 10 years and initially worked in the operations department. As the COO, David focuses on strategic growth and operational initiatives to continually improve and optimize the client experience at our firm. David’s approach to assisting his clients in increasing their financial security involves gaining a clear understanding of their needs, goals, values, and visions. Through a synergistic relationship with his clients, David is able to implement innovative strategies that target a path to the futures they seek. His broad background within the financial industry enables him to develop sound financial planning, retirement planning, and asset protection planning for those in retirement or about to retire. He focuses on creating a long-term strategic financial plan that will address his clients' individual needs such as creating and growing wealth, sustaining a desirable income during retirement, and transferring their wealth to heirs. David earned his bachelor’s degree in Business Finance from California State University Los Angeles. 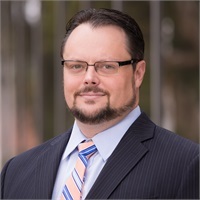 His professional accomplishments include holding the prestigious CERTIFIED FINANCIAL PLANNER™ practitioner certification and obtaining his Certificate in Financial Planning from the University of California, Los Angeles. He also holds the FINRA series 7 and 66 securities registrations and is licensed in California for Life/Health/Disability and Variable Contracts (California Insurance License #0F99321). Prior to David’s career as a Financial Planner, he was enlisted in the United States Navy as a Damage Controlman shipboard firefighter in Norfolk, Virginia. In the Navy, David was able to travel and see the world, while serving his country proudly. David currently resides in Camarillo, CA with his wonderful wife, Jodi, and their two sons, Tristan and Jameson. He enjoys camping, riding dirt bikes with his sons, working on projects around the house, and spending time with his family.